BCA Member Event: "VIRTUAL Is the New Real"
"Virtual is the New Real: Virtual and augmented reality are transforming how we live, work and play"
Join us for a lively evening of conversation with innovators working to create our new immersive reality. Presented by Business Council for the Arts in partnership with UNT's College of Visual Arts and Design and their xREZ Art + Science Lab. Register here for the event via EventBrite. Free to attend. Randall Colson is the head of Haynes and Boone's Technology Transactions Practice Group. Leveraging his industry experience as a hardware and software designer, Randy has extensive experience counseling clients with a myriad of technology and intellectual property-related transactions, including information technology and business process outsourcing, software development and licensing, SaaS, cloud computing, hosting, joint development, distribution, consulting, naming rights and e-commerce transactions. As the Chair of the Technology Committee of Business Council for the Arts, a nonprofit organization working at the intersection of art and business, Randy is active in how new technologies such as AR and VR are shaping our world. 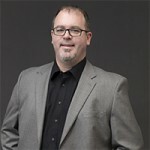 Dale Carman is the Executive Creative Director and a Partner at Groove Jones. He has been in the creative business for 25 years, working on major motion pictures, commercials, theme park rides, virtual and augmented reality. Groove Jones is a content creation studio specializing in the development of 360º commercial video productions and immersive Virtual Reality and Augmented Reality apps. They have worked with big brands such as FX, McDonald’s and AT&T on AR and VR commercial projects. In providing 360º video capture, developing real-time render interactive virtual reality experiences and consulting with clients on strategic distribution strategies they are the marketing and creative firm of the future. Jeremy Kenisky is the Vice President of Creative at Merge VR and ACM SIGGRAPH’s Emerging Technology Chair. He spent 13 years leading an award winning visual effects and post production company in the US focused on high end animation and VFX for broadcast television, film, and IMAX. For the past 7 years, Kenisky has focused on building Augmented and Virtual Reality experiences, pushing the limits of interactivity for agencies, institutions, theme parks, museums, science centers, zoos, and aquariums. In 2016, one of Jeremy’s companies was acquired by Merge VR, where he sits as Vice President of Creative, directing content development, outreach strategy, and helps influence new product design, among a variety of other technology and design related tasks. Ludo Michaud is the Vice President and VFX Creative Director at Corgan MediaLab. With over two decades of experience, Ludo spent most of his career in the creation of visual effects for Televisions and Film. He worked on more than 8 features films, well over a thousand commercials, countless game trailers and even 3D rides. He joined Corgan Medialab to help elevate their 3D/FX department of visualization. Now vice president within the firm, while teaching for the NAD center around the country starting new programs to teach visual effects, Ludo keeps elevating the firm’s visualization group through new techniques, new tools and helping find the right material for the group.